Join us for a special evening at Nirvana Wine & Grillerie this Valentine’s Day! 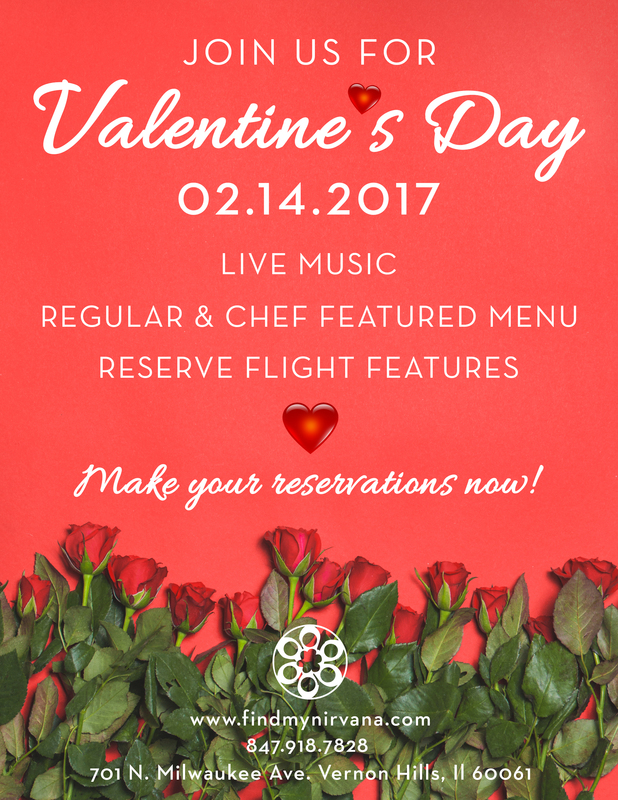 Reservations highly encouraged, call today or fill out the form below to make yours! *These events do fill up fast, so please make your reservation as soon as possible. We will confirm your reservations once received.